As if the Republican Party doesn't have enough troubles with a spectacular defection to the enemy (Sen. Arlen Spector) and a babbling RNC chairman (Michael Steele), one of their most loyal and right-as-right-can-be House Representatives, Virginia Foxx (R-NC, Winston-Salem) has become a standard-bearer for the Matthew Shepherd Hate Crimes Act. "I also would like to point out that there was a bill -- the hate crimes bill that's called the Matthew Shepard bill is named after a very unfortunate incident that happened where a young man was killed, but we know that that young man was killed in the commitment of a robbery. It wasn't because he was gay. This -- the bill was named for him, hate crimes bill was named for him, but it's really a hoax that that continues to be used as an excuse for passing these bills." Matthew Shepherd's mother was in the gallery. Keith Olbermann has, predictably, named Foxx "Worst Person In The World." He also said a lot of very scornful things himself, simply because Foxx very stupidly buys into the right-wing "hoax" theory. At one point, he intimated that Foxx was lying in her "hoax" statement. 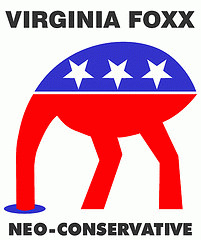 Rep. Virginia Foxx's speech will soon become (if it hasn't already) "viral". People will request (STRONGLY) that she apologize to Matthew's mother. She probably won't, making herself and the Republican Party the primary reason the bill should be passed. People will envision her as torturing Shepherd herself. The New York Times reported in 1998: "According to the local police and prosecutors, the two men lured Mr. Shepard out of a bar by saying they were gay. Then, the Laramie police say, the pair kidnapped Mr. Shepard, pistol-whipped him with a .357 Magnum, and left him tied to a ranch fence for 18 hours until a passing bicyclist spotted Mr. Shepard, who was unconscious." REP MICHELE BACHMANN (R-MN): I feel that this hate crime legislation could be considered the very definition of tyranny. REP. GRESHMAN BARRET (R-SC): This bill would inhibit religious freedom in our society -- a scary thought. REP. LOUIE GOHMERT (R-TX): You think a pregnant mother does not deserve the protection of a homosexual? 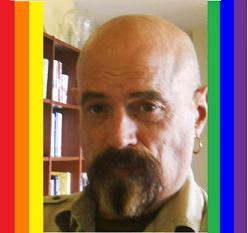 You think a military member doesn't deserve the protection of a transvestite? REP. STEVE KING (R-IA): I, Mr. Speaker, oppose and I defy the logic of the people that would advocate for such legislation the very idea we could divine what goes on in the heads of people when they commit crimes. 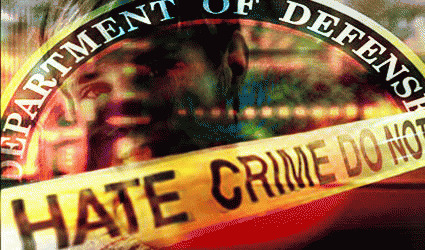 Hate Crimes legislation to silence you! ....The act would establish a new FEDERAL offense for so-called "hate crimes" and add "sexual orientation" and "gender identity" as protected classes. It will mandate a separate federal criminal prosecution for state offenses. Adding "sexual orientation" to thought crimes legislation gives one set of crime victims a higher level of protection than it gives to people like you and me. Tony Perkins: the old "thought crimes" meme became the stuff of urban legends a while ago, with pastors being carried bodily from their pulpits, whole hospitals shut down, and gold-chained crucifixes yanked off the tender necks of children!